Cartier Must de Cartier Gold perfume is a legendary scent for an elegant and enchanting woman. It is a dazzling interpretation of the original aroma with fruits and flowers added to create a more radiant perfume than the original. 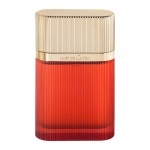 Cartier Must de Cartier Gold perfume begins with a distinctive green texture, that mellows into an oriental floral composition with a hint of fruit. The oriental composition comprises sensual notes of jasmine and vanilla, underpinned with nuances of galbanum and blackcurrant bud. A collision of fresh and sensual notes, the sparkling fragranceof Cartier Must de Cartier Gold radiates luxurious warmth. Cartier Must For Women was the first fragrance from Cartier and it simply stunned the world of perfume. 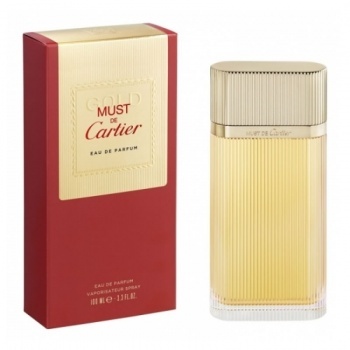 Cartier Must For Women offers incomparable freshness in an oriental fragrance with the very green note of galbanum.